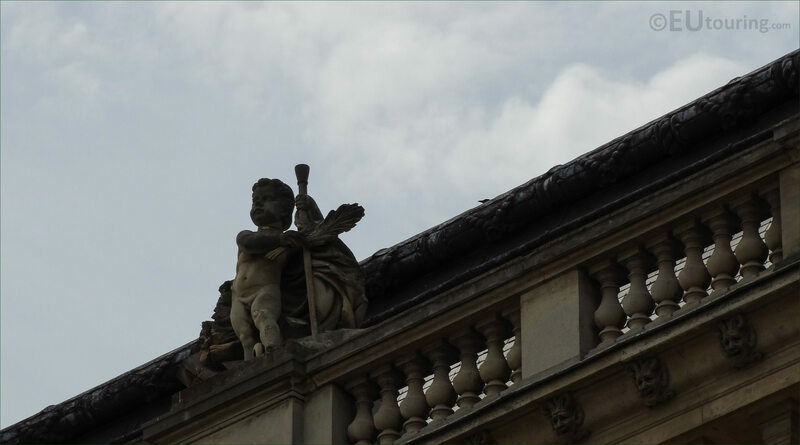 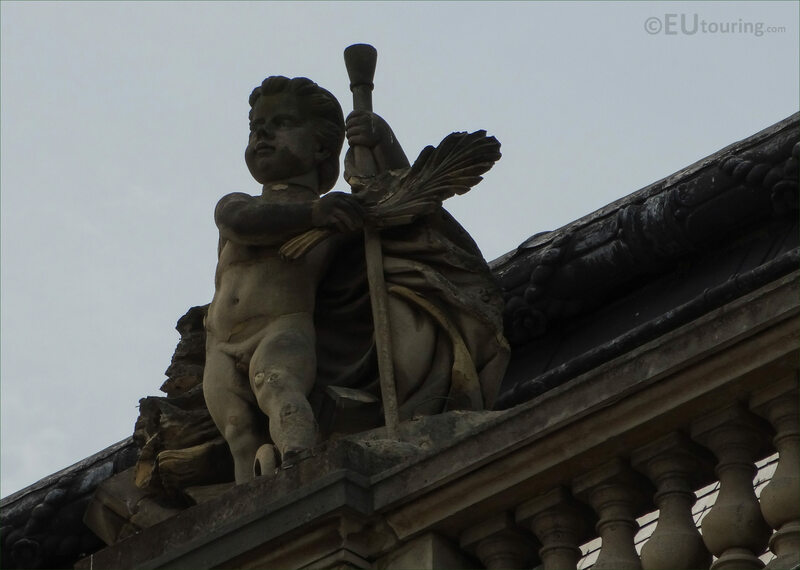 We were at the Musee du Louvre in the 1st Arrondissement of Paris, when we took these high definition photos showing a statue called Victoire, which was sculpted by Alfred Lepere. 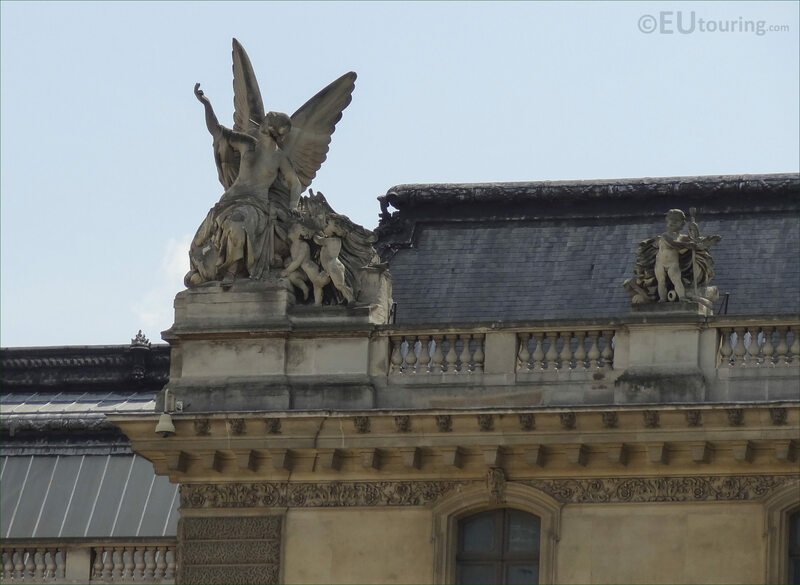 This first HD photo shows a close up of a statue called Victoire, which in English translates to Victory, and after a plaster model had been approved, this was produced in stone for the former Palais du Louvre and positioned on the Pavillon des Etats. 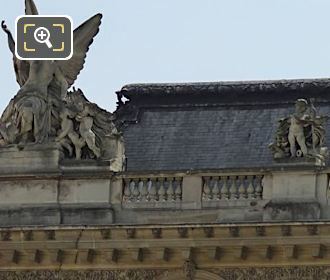 So here you can see the location of the Victory statue positioned on the balustrade by the roofline of the Pavillon des Etats, which in English translates to the Pavilion of the States, and when you are standing in the courtyard of The Louvre called the Cour du Carrousel, this is located as the first allegorical genius statue from the left hand side. 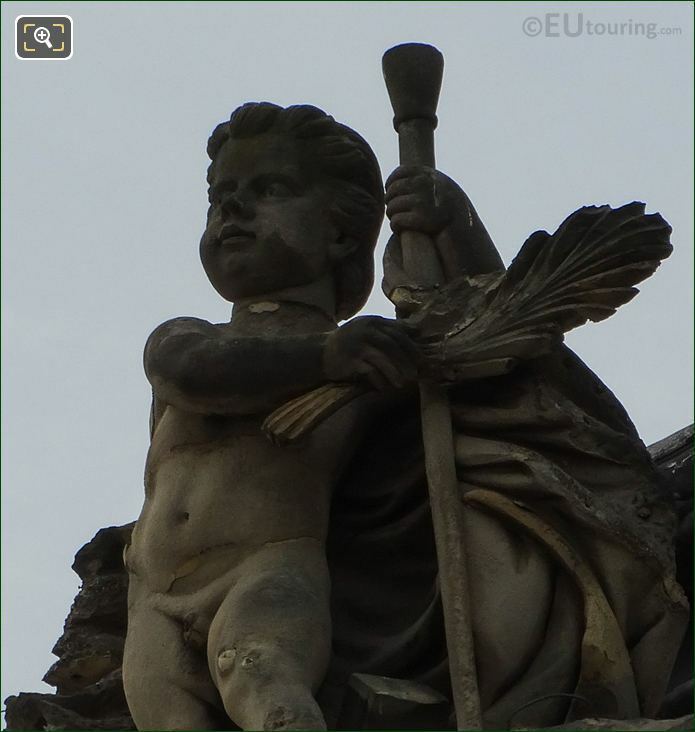 Now this was Victoire statue was produced by Alfred Lepere who was born in Paris in 1827 with a full name of Alfred Edouard Adolphe Lepere and studied under sculptors such as Augustin Dumont, plus the painter Charles Gleyre, and throughout his career he produced many paintings as well as statues, yet won the Prix de Rome in 1852 with a sculpture. You will find that many works by Alfred Lepere at tourist attractions around Paris including the Orangerie of the Jardin du Luxembourg, Palais Garnier Opera House, Hotel de Ville, Eglise Notre-Dame-des-Champs and of course this one on the Louvre Museum, still presenting works at the Salons for French artists right up until 1894.